The internet is a wonderful thing. It’s opened the door for people to earn a full-time income, or side income from anywhere in the world. Teach English online, learn how to start a travel blog, or become famous on social media and be a brand ambassador for large companies. It’s all possible. If you’re looking to teach English online, you’ve come to the right place. Here I’m going to list the best online English teaching jobs, how you can find a job with reputable companies, and how much money you can expect to earn from teaching English online. 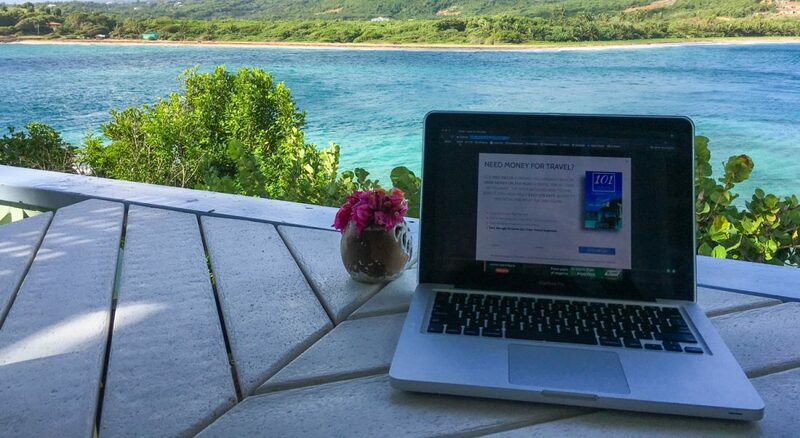 If you’ve been on this blog before, you’ll know we’re all about helping travellers find online jobs so that they can turn travel into a lifestyle. We’ve been travelling since 2008 and thanks to the internet, we’ve been able to earn more money online than we ever did in our well-paying jobs in Canada. We want to help other travellers do the same thing! 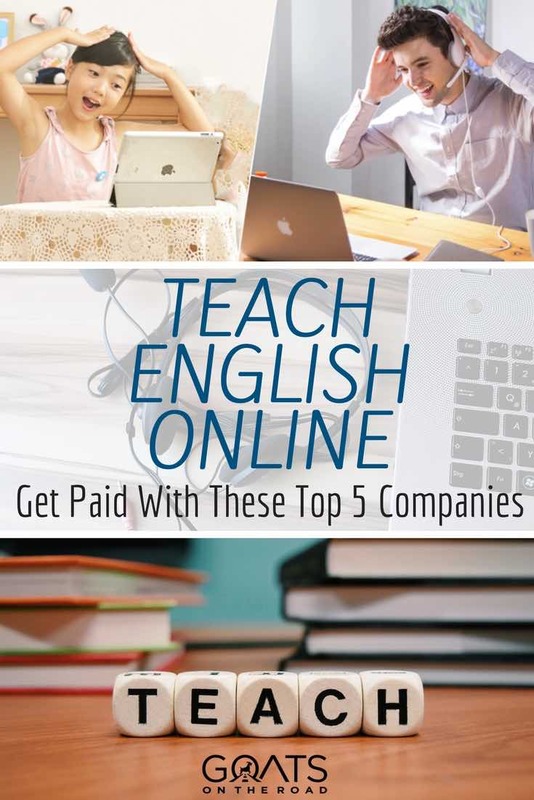 I’m happy to share these top 5 companies to teach English online so that you too can make money from anywhere in the world. 1 Who Can Teach English Online? 2 How Much Do Online English Teaching Jobs Pay? 5 Like This Article? Pin it! These are the basic requirements to teach English online, and I will list a few more specific requirements to each company below. It makes sense that you must be able to speak English at a native level, and that you have a solid internet connection (if you don’t, why would students sign up with you? ), but I really don’t think having a university degree in any subject should be a requirement to teach English online, or in-country. But hey, those are the rules. In most cases, no previous experience is required, but it helps if you have worked with younger children in the past and have taken a TEFL course – which will give you a proper understanding of lesson plans and how to run a class. Plus, if you have a TEFL certificate, are a native English speaker, have a good internet connection and are enthusiastic, your odds of getting accepted for the job will be much higher. Some of the companies below don’t require a University degree or a TEFL certificate. Not only is teaching English online a great job for digital nomads and remote workers, it’s also an excellent gig for stay at home moms (or dads!) and retired people who don’t want to do nothing now that their careers are finished. Want more travel job ideas? Check out our epic list of Travel Jobs that can earn you money while you’re on the road. If you’re not wanting to teach ESL online, or if you want to combine online teaching with being in-country, check out these teaching jobs in China. How Much Do Online English Teaching Jobs Pay? While you might not become a millionaire when you teach English online, you will earn enough for a life of travel, and it could be a nice addition to your current income. This is especially true if you’re basing yourself in a country with a low cost of living. Having said that, many people teach English online as their full-time career. You can either sign up with a few different companies to ensure you receive a lot of work, or apply for numerous classes with one company. For most teachers, this job is coupled with another form of income (such as travel blogging), or at least supplemented with free accommodation through house sitting or some other sort of exchange. While you’re teaching online, you could be taking care of a dog and living in a pool villa in the Caribbean. If you haven’t heard of house sitting & pet sitting, click here to learn how to receive free accommodation around the world while earning income from your online ESL teaching jobs. Teach English online from the Caribbean – while receiving free accommodation! The pay rates differ with each teaching company, but in general, you can expect to make between $10 – $23 / hour. Some of the companies pay per minute, while others pay hourly. In some cases you must commit to a certain amount of hours each week, while in others, you set the teaching schedule. There’s also the opportunity to earn bonuses and referral pay. Plus, if a student cancels on you, you will receive compensation. Some companies pay via PayPal, while others do a direct deposit to your bank account. 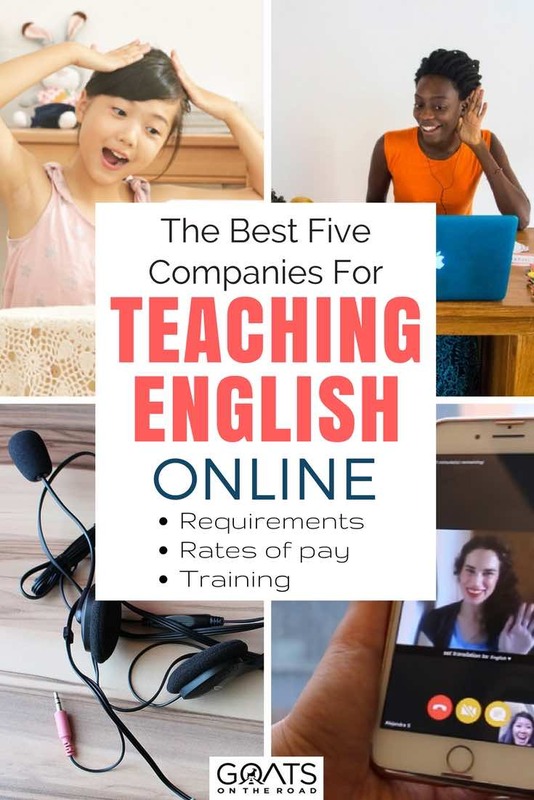 There are lots of online teaching jobs out there, but if you want to teach English online, you need to make sure you’re going with a reputable company. There are a few standouts right now, but unfortunately for those of you who aren’t from the UK, Canada or the United States, you won’t be able to work with those 3 companies. Don’t worry though, there are more options below. 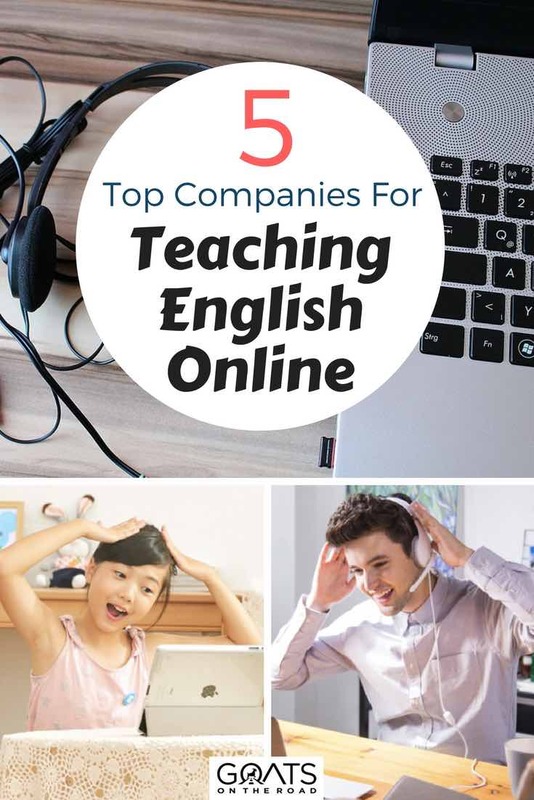 In short, the top three recognized companies that hire teachers to teach English online are VIPKID, Qkids and EF Education First. If you want to teach English online and are from the UK, you’ll wan to skip down to #6 on this list (which was just added January, 2019!). 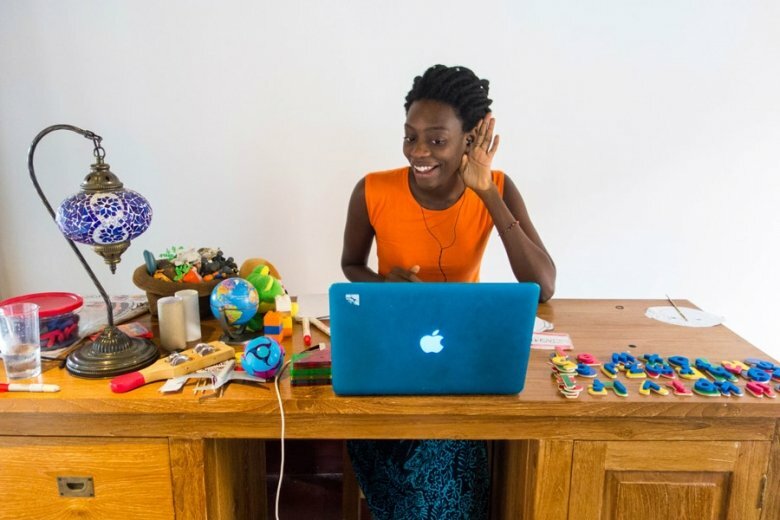 For North Americans, there’s no question that becoming a VIPKID teacher is your best option because you can work remotely from anywhere in the world and the pay is the highest. If you want to become an online English teacher, look no further. VIPKID is an excellent option for North Americans who want to teach English online to children in China. This company came onto the scene in 2013 and has been exploding ever since. The platform connects Chinese students with North Americans and they deal with the lesson planning, marking of tests and speaking with the parents of the children you teach. When we taught English in China, those were things we had to do on our own, which was definitely a downside! Classes are 25-30 minutes each, with a potential earning of $22 / hour. VIPKID is definitely one of the best online jobs for English teachers from Canada or the USA. To read our review of VIPKID, click here. This program is actually very similar to VIPKID, but there are a few differences to their ESL teaching jobs online. Both VIPKID and Qkids are great companies and they both pay their teachers well, but each has their own style. The major difference between the two is that with VIPKID you can teach from anywhere in the world, while with Qkids, you must actually be in Canada or the USA. Maybe apply for both of them (or all of them in this article), so that you have a better chance at being hired, and making more money! Cambly is a much more informal teaching setting than VIPKID and Qkids, and there are many differences. The people who you’ll be talking with already speak English at some level and for the most part, they are just wanting to practice their conversational skills. This is a platform where students sign up and pay a fee, and log-in via an app to chat with tutors who are online. Teachers (tutors) can log-in at random, or you can book a shift. Although there are students from all around the world, most of them hail from Saudi Arabia. As of recently however, there has been a boom in South Korean and Turkish students. Here are the pros & cons of Cambly. *Note: It was suggested by a female Cambly teacher to not use your real identity when signing up as a tutor. I thought this was a great idea because you’ll avoid having dodgy men from around the world stalking your personal social media profiles. One downside of the internet! Italki is completely different from the 3 companies and programs I listed above. With Italki, you set the pay rate that you will be charging your students. If there’s a language that you are fluent in (English, Japanese, German, Russian, etc. ), then you can apply to become a teacher of that language. You will be in charge of the lesson and the platform it is taught on (Skype, FaceTime, Google Hangouts). 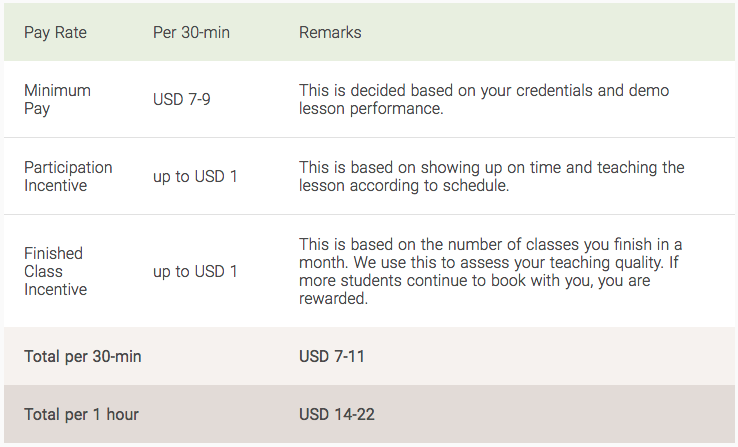 The rates you should charge are based on your previous experience, your credentials, your student feedback and what others are charging to teach online. From what I can see, the professional teachers are charging around $25 / hour, while the community tutors are charging around $12 / hour. Basically, if you price yourself out of the market, you won’t have any students. You must be a native speaker in the language you are choosing to teach. *Update January, 2019* This company isn’t hiring new teachers at the moment. Try back another time. The online English teaching jobs available with this company varies, but right now they are looking for native English speakers who are from the USA to teach Korean business students. 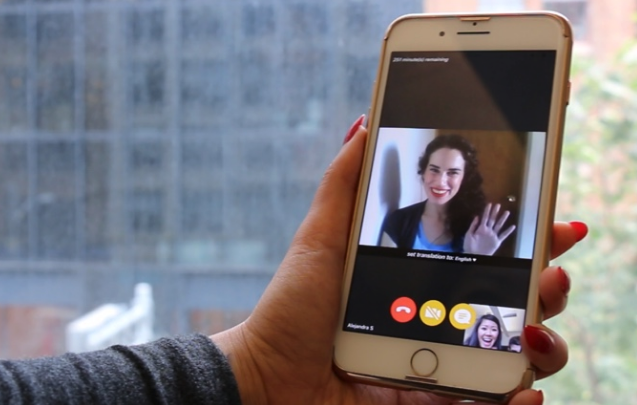 You’ll be speaking by phone, but via softphone technology downloaded to your computer. This is a highly recognized English school with classrooms around the world. But, they also offer English teaching jobs online for both citizens of the UK and the USA. If you’re from the UK, there’s no doubt that EF Education First Online is your top choice when it comes to online ESL jobs. To read our review of EF Teach Online, click here. ☞ Click here to learn more about EF Online and apply to become an English teacher. I hope that this article inspired you to teach English online, either as a full-time job, or as a side hustle. Except for VIPKID, Qkids, EF Online and EnglishHunt who only accept North American or UK teachers, the other two are fair game for any nationality and in some cases, you don’t even need to be native English speaking. Teaching English is a rewarding and enriching experience. Check out the companies above and get started! Great information here, so thanks for that. A little disappointed with the requirement to be from either Canada or US for some of them, particularly as a native English speaker from England (it’s amazing how many people don’t realise England English) but hey ho! Don’t get discouraged! 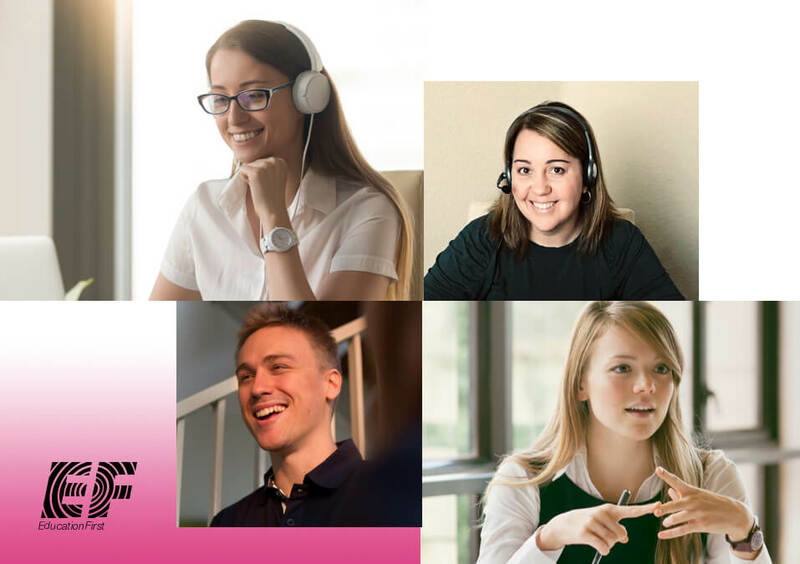 I work for VIPKID, and I wish we hired a more diverse group of staff members. I know that there are a lot of other companies out there, so there are definitely good opportunities to be found, keep searching. That is too funny for words! Americans and Canadians have neutral accents? Only to yourselves! Yes, this is true. For a non-English speaker, North American accents are easier to understand. I teach with VIPKID, and I love the company! It was interesting reading about the different opportunities. I’ve heard a lot about Q-kids and Cambly, as a lot of our teachers use these companies to fill their schedule when they first start out. Many prefer VIPKID for the pay and one on one classes in the end, but my sources might be biased! Because I’m hearing impaired, teaching verbally isn’t an option due to my strong accent and poor lipreading skills. I was wondering if you (or anyone else) have seen any demand for ASL teachers online? This is such a super article. I have taught English abroad before but never considered taking this online. Definitely a great way to supplement the digital nomad lifestyle though, will definitely be looking into a few of these companies! 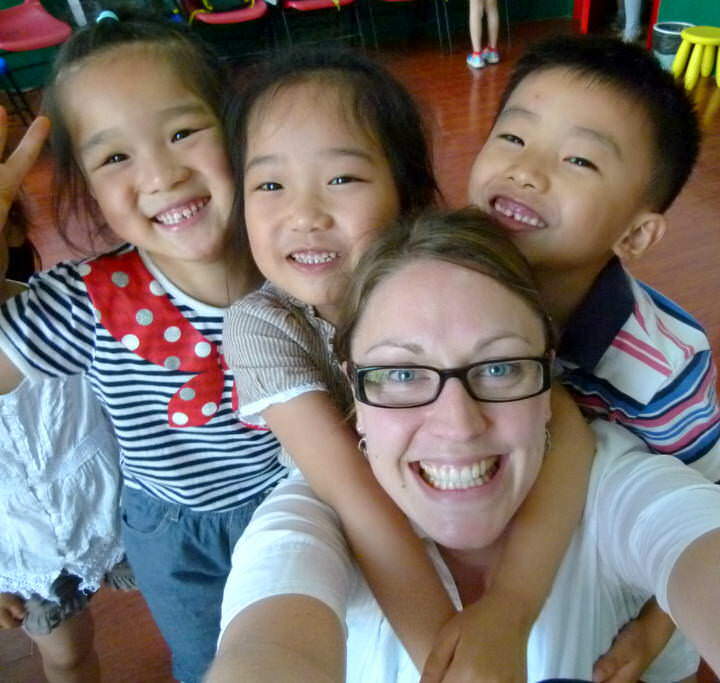 I taught English in China for 2 years (pre-k, kindergarten, and then at an extra curricular school on the weekends). I loved it and am interested in teaching online. Since you work for VIP Kids (you collective for those who have mentioned working for/with them) what is the true time commitment like? What do you dis/like? I’m very interested. I was also told that I did very well on the interview and that they liked my credentials (high GPA double major), but I was declined. I think it’s also because I have a darker skin tone. interesting..I was wondering if the company would discriminate against people of darker skin. As asian are known for discrimination for that reasonThank you for sharing your experience. My daughter went through the application process for VIP kids and has an education degree, teosl certificate and experience, and she was turned down. This is even after they said she did well. She is not black, so I wouldn’t assume that is the reason people are getting turned down. We were both baffled why she was. Hi, I work for VIPKID and I started May 2018. It started off very well for me since some teachers had no classes the first month. March 2018 I made 575 USD, April 2018 May 2018 I made $1182 USD = $1500 CAD, May 2018 $1894 USD and June, I’m hitting close to $ 1700 USD which is great because I’m Canadian…eh! It’s gone so well for me I recommend it. I would like to work online from home. French tutor It is possible to definitely visit experience while in the work you are writing. This segment wants all the more passionate freelance writers such as you who aren’t afraid to cover where did they believe that. Continuously go after your heart. I hold a teaching certificate in Georgia in social studies, special needs and learning disabled. I specialize in teaching special disable and special needs children at all levels. I would love to contact you to see our if our goals can be compatible to in moving forward to help children reach their full academic potential. Thank you for writing about this lifestyle! I am definitely interested in following in you guys’ footsteps and pursuing this way of living. I do have a question. I realize having quiet, undisturbed teaching times might be difficult. What internet service/system is best to have while on the road? I have just graduated as a TEFL teacher and want to work from home online. I live in South Africa. Please let me know if you have any jobs available. We are not a company that hires online teachers, you’ll need to reach out directly to the schools that I listed in the article. Thanks. As an IMPORTANT note for anyone looking into English Hunt, I just looked into them and they say that Apple/Mac computers are NOT compatible with their programs. So, if you only have a Mac like I do, you won’t be able to work with English Hunt. Thank you for this…it is very informative and relevant. I’m gearing up to apply to teach online so this is great. It reaffirmed that VIPKID is still a leader in this fast moving field of teaching English online. Although, English teachers from England don’t have much to work with using this list. Are there not more inclusive suggestions? Verbling or DaDaABC to discuss? This is a very helpful article! Thanks very much! Has a lot of information I was looking for. Unfortunately, i could be branded as not a native english speaker “technically”, since I hail from India. Will still give it a try at one of the companies that do not require us to from Canada/U.S. Thank you so much for the thorough and well summarized article! Thank you. I have been looking for this information. But l need more of your help. I would need a piece of advice if you don’t mind. I am a Romanian citizen, however I have been teaching English at mostly all levels for all my life, namely ever since graduating from an English intensive study high school. I have a University degree in communication and a masters in public relations, none being of much help, I guess, when it comes to teaching. I have also taught Italian, Spanish and French all languages I am fluent in. I am interested in teaching mostly English and Italian, however of what i read here, most of these companies would require native speakers. I believe they should consider the level of English and experience rather than being a native speaker. With all due respect to everyone, I had an English native speaker teacher from USA in high school, brought especially for conversation, whose grammar was incorrect, vocabulary poor and knowledge scarce. Besides, speaking and teaching are two very different things. Being a native speaker of any language does not make anyone a good teacher. This being said, I would really appreciate some advice as to which companies I could apply for online teaching jobs. Thank you in advance! Am very much interested in teaching English online. i am a retired social worker. i have masters in management. English is my only language. i am from Johannesburg in South Africa. It is somewhat of a shame that a University degree is required for a couple of these programs. My wife has been a teacher’s aid in a Private School for the past 13 years. She does not have college training. Primarily she has had the duty to teach preschoolers (3 and 4 years old) to read. I am proud to say that by the end of each of those school years at least 95% of these children smile ear to ear as they realize that they have for the first time formed words into sentences and have “read” what was set before them. Yes, it is a shame since the degree doesn’t need to be in the field of education or something similar. But, it’s the law in China to have a university degree, and in many countries. I have bachelor in English from vcc Canadian Coleg. Should I try to reapply? Are there best practices for being accepted into these programs, or what each of them consider when making a decision on a teacher? I don’t have any experience teaching, but have Bachelor’s degrees in both Psychology and Economics. Would getting my TEFL certificate be overkill, just to start teaching online? Yes, getting your TEFL would help for sure. Which passport do you hold? I currently teach English and additional English for students in the 11th and 12th grade in my own state. It’s the most interesting age group as they are able to think outside the box. And most times they converse in english which also helps them to write good and proper english. Introduving such websites for us teachers to help others learn better English is a great opportunity. But I’m abit disappointed that teachers from our country are not applicable to teach here . I’m an Indian. But if we are do let me know…I would like to join and share my knowledge. Sadly this was only of use if you are from North America. Hi Les, you can sign up for Cambly or Italki if you are from other parts of the world. But yes, sadly for the top 2 companies, they want North Americans. As we know there are lots of website are there for teach us English online but your site is really very helpful for us to improve our English or improve our skills. this is also very helpful for our business also. Thank You for sharing this information with us. I’m planning to apply to VipKid – could you be kind and share your experience with their interview and demo class please? Any tips? Questions they ask? Rubbish sites, 4 out of 5 geared towards Americans. I tried applying and was rejected out of the gate due to not having any classroom experience. I have a degree in English and my tech requirements are all there. It seems circuitous to need experience but can’t get experience because I don’t have enough. So… getting a TEFL and teaching abroad seems the easiest route. Please correct me if I’m wrong or missing something. Which company were you trying to apply for? Thanks. I’d appreciate if anyone could recommend a company or companies that accepts tutors from Trinidad and Tobago. I am 68 male in Pakistan. Mostly, as a kid I was tutored by native English speakers. Do you think I stand a chance. Great article, however, there are other companies out there that pay better and are open to all Native English accents. I currently teach online to subsidise my full-time TEFL job and the 2 companies I work for pay between $11 and $12 for 30 minutes. They provide good materials and good teaching platforms! But thanks for the article, this is something that many English speakers don’t seriously consider, but there is some good money and flexibility to be earned. …And what are the 2 companies you work with, Donald? Great article! I have certificates from a trade school (Heald Business College). Are those applicable? Hi, I would like to teach English online I have CELTA certificate and Masters in theatre. It would be lovely to hear from you. Hi there, thanks for this roundup! I’d like to include my experience working with EF in case it’s useful for anyone. I worked for EF for 3 years. There was a lot I liked about the company, but in my third year I started having problems with getting passed up for pay raises. They have a complicated system for raises that includes student reviews and booked hours. If I worked a class session and 4 students gave me a 5 star rating but the 5th left one star, I was out of the running. If I put in 30 hours of availability but the school only booked me for 3 (yes, that happened! More than once! ), I was out of the running and told it was my fault for not putting in enough availability. Students can no-show last minute and the teacher only gets a quarter hour pay. Eventually, my hours became so unreliable I had to quit. I must tell you that the content of these posts isn’t as helpful as they sound to be. I am an Indian. There is nothing in your blogs which was helpful for me. Teaching English had requirements, hence everything was in vain. Do you have anything for Indians? Also, have you been to India? I recommend you to visit Manali, Dharamshala, Amritsar, and Jaipur.